Anything that promises glowy skin, I am all over it. So you can imagine my excitement when at The Body Shop, we received our newest Vitamin C, glow boosting, skincare products. Yes, please. There are two new products in the range. 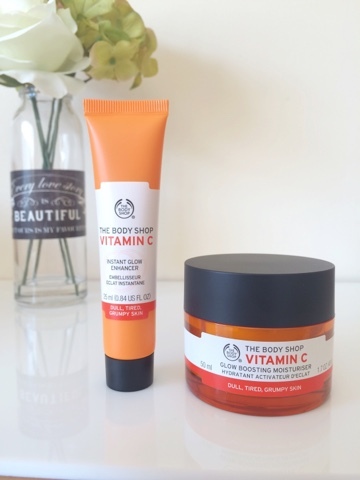 The Vitamin C Glow Boosting Moisturiser and the Vitamin C Instant Glow Enhancer. Both are loaded with Camu Camu berry oil, which is what gives the skin a glow as it helps to turn over skin cells and keep the skin naturally radiant. That is what I love most about these products. 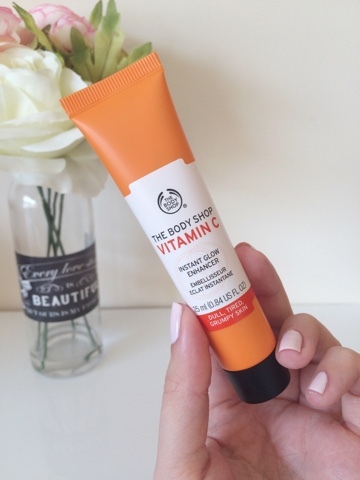 I'll talk about the Vitamin C Glow Boosting Moisturiser (£16) first, as it is my favourite. It is a light gel texture, which I was really glad about (for my own selfish reasons. My skin doesn't get on with cream moisturiser.). The smell is divine. it smells like an orange sorbet. Fresh and zesty. 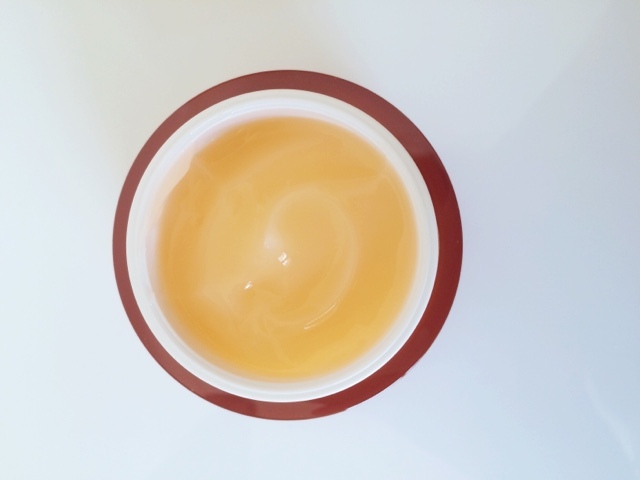 It sinks in really quickly, leaving the skin feeling smooth and velvety soft. It gives a decent amount of moisture, although dry skin types may want to layer a little bit of a richer moisturiser underneath before applying this. But for me and my slightly oily/dehydrated skin, it was completely fine. 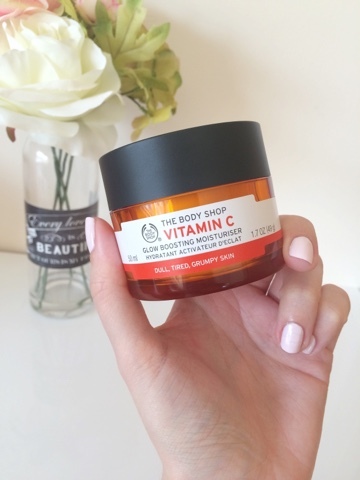 The Vitamin C Instant Glow Enhancer (£14) does exactly as it says on the tin. It is designed to be used over or under makeup, to give the skin an instant glow. 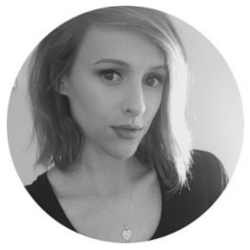 Apply it where the sun would naturally hit (i.e cheekbones). The formula is very light on the skin and when patted in, it disappears almost instantly and just gives a pretty sheen. What I love most about these products, is they actually improve the look and feel of your skin. They aren't loaded with glitter and silicones to just make the skin appear glowy, they contain ingredients that will, over time, give you a naturally radiant complexion. The new Vitamin C Glow Boosting Moisturiser and the Instant Glow Enhancer are available in store from Thursday 30th April! Thank you for reading. Will you be trying these out for yourself? Disclaimer: I work for The Body Shop. However, all opinions about products from The Body Shop are 100% my own and do not reflect the opinions of those at The Body Shop. Any product given to me for staff sampling has been marked with an *. Any product from The Body Shop not marked, will have been purchased by myself, with my own money at a staff discounted price. All my opinions are completely true and honest. In this post, however, these products have been given to me to review but will be returned. Is Glow Boosting Moisturiser suitable for oily skin?